Spooky Food - Overrated or Underappreciated? The question remains, though, is spooky food worth the price? If you're thinking about adopting a creature of the night, you might want to read this article first. 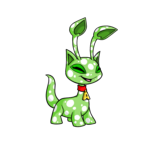 Welcome to my guide to Kougras, the best neopet ever! 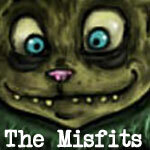 A guide to monsters, mazes, and treats. The invisible brush is your saviour. Read on, naive, prejudiced, young Neopian. Krawley's role in the history of mutants is not known as clearly as Sloth's, nor is it as understood, yet there is very loose evidence that seems to link the two in the history of Neopia's mutants. It is understandable why some pets and their owners are hesitant about trying out the Mutant colour. It's just... strange to be here. 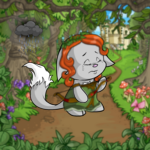 I mean, to be treated like a normal neopet instead of people pretending I don't exist or gawping at me like I've got three heads or something. 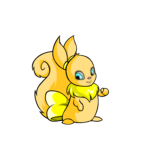 There is nothing more aesthetically pleasing than Mutant Neopets. Here is a list of essential Neoschool items your Neopet won't want to do without. Not So Different After All: Mutant Equality! For approximately a decade, Mutants have lived among us and worked hard to become respectable, responsible Neopets, despite their physical deformities. Before your pet downs that nasty concoction, you should find out if you and your neopets could manage a mutant. They were all talking excitedly. I figured they were probably the newbies' pets, being zapped for the first time. I recognized the Gelert, now half orange and half purple. "Split," I said, cutting into their conversation. "Not bad for the first time." The Gelert grinned eagerly. "Thanks!" she squeaked. "I was super scared, but it turned out super great, and now I'm super happy! My owner has been saving up for the Lab Ray Map for a super long time..."
I gasped, gasped again, and sneezed. "Do you think you could set up another Expellibox conduit in Neopia Central?" Zamrin ducked back around the corner when he saw the space ship. Why were they here? Part one of the Giant Omelette saga! How many times have I got to tell you to SMILE when you wait tables???? ?